(VEN) - Vietnam is stepping up its auction of bad debts in an ongoing bid to overcome a high ratio of non-performing loans that have hobbled the economy. So far this year, the Vietnam Asset Management Company (VAMC) has sold some VND380 billion in mortgages. 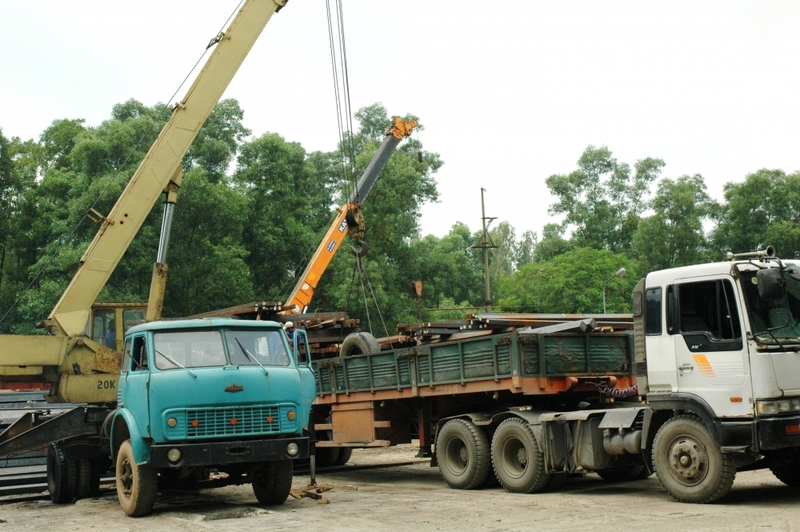 These include auctioning the properties of the Tan Quoc Duy Steel Company’s property in southern Binh Duong Province, Puzolan Gia Lai Cement Company’s mortgage for a loan at Saigon-Hanoi Bank and bad debts of Kim Son Building Material Production Company at the Commercial Bank for Investment and Development of Vietnam. The auctioned Kim Son asset, with a starting price of VND8.727 billion, was handed over to the new owner for VND9.427 billion. Run by the State Bank of Vietnam since it was established in 2013, the VAMC is responsible for purchasing nonperforming loans from local banks and handling them on the lenders’ behalf. VAMC’s 2018 target is purchasing bad debts at market value of VND3.5 trillion; and reclaiming bad debts of nearly VND24.9 trillion, including those paid by special bonds and at market value of VND20 trillion and nearly VND4.9 trillion, respectively. To ensure faster handling of bad debts, VAMC has proposed to increase its chartered capital to VND5 trillion. VAMC General Director Doan Van Thang said 2017 saw the successful auction of some security assets and debts, as well as the purchase of bad debts at market value at a total value of VND3.1 trillion. In 2018, the company continues to select bad debts that can be bought at market value, implementing the Law on Property Auction and Decree 61/2017/ND-CP on the verification of bad debts’ initial price, and the formation of a council for bad debt auction. The asset auctions depend on various market factors, Thang said. The next major auction is planned for Saigon One Tower, a US$256 million building developed by Saigon M&C Real Estate JSC and used as collateral for a VND7 trillion (US$308 million) loan its developer borrowed from a group of lenders. The property, the first mortgaged asset seized by VAMC, will be auctioned at a starting price of VND6.11 trillion and is looking for a company to hold the auction. Companies that have successfully purchased property worth at least VND100 billion ($4.41 million) via auction are eligible to bid for the Saigon One Tower, according to VAMC. According to Moody’s credit rating service, the asset quality at most Vietnamese banks stabilized in 2017, helped by healthy macroeconomic conditions. Additionally, enhanced legal frameworks, such as Nation Assembly Resolution 42, which allows banks and VAMC to rapidly repossess collateral in the event of a borrower defaulting, allowed banks to be more active in managing bad debts. As a result, the total stock of VAMC bonds at rated banks decreased in 2017, the first decline since VAMC began operating.